Your grounds will say a lot about you to your visitors, so it's important that you always keep up appearances. Instant judgements will be made when people view your grounds, so you need to ensure that you're projecting the right message. If you're struggling to manage your grounds in house, investing in a little professional help can go a long way. 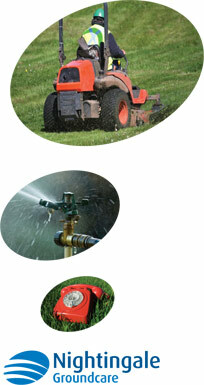 We can take care of everything such as weed control, grass cutting, pest control, top soiling and much more. In addition to our ground maintenance services, we can assist with site clearance, shrub planting, turfing and grass seeding. Whether the job is small or large, we are able to work around you and provide a first class customer service. We pride ourselves on our years of experience and withhold the correct qualifications to provide an outstanding service. For a service that comes with a professional attitude and competitive prices, choose Nightingale Ground Care today. If you would like to have a chat with us to find out more about how we can help you, you can speak to us directly on 01794 323606. Alternatively you can email us at info@nightingalegroundcare.co.uk where we will respond promptly.